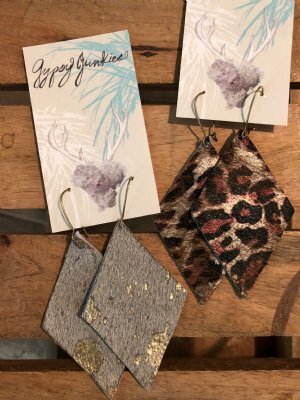 The latest trend in cowhide earrings takes a turn for diamond shape!! Available in metallic cow or the brown animal print. Total length 3.5", THESE ARE NOT HEAVY!